We’re not called Dementia Friendly East Lothian for nothing! Getting a diagnosis of dementia changes lives, but people still want to continue with their normal daily life as long as possible. It’s those simple daily routines that make life sweet – the daily walk to the shops, meeting friends, having a cuppa and doing the things that make life meaningful. Living with dementia isn’t just about problems with memory or getting about, for many people it also involves a loss of self confidence, feeling anxious and fearful of being judged and stigmatised. Far too often a diagnosis of dementia is accompanied by people withdrawing from normal live, and too many times that’s based on fear and anxiety rather than the dementia itself. Creating Dementia Friendly Communities is simple but not easy. A DFC isn’t just about people with dementia or about having a community of dementia experts. A Dementia Friendly Community is good for everyone and connects us all through the places and people we live among. Everyone in in the community can help, simply by understanding dementia and its impact, being kind, patient and friendly. And if you’re not sure if someone has dementia? Well just carry on being kind, patient and friendly, it’s going to do everyone more good than harm. So we were delighted to invite Shaun Burnett from Nurture Development to run a workshop on Assets Based Community Development – how we make our communities and people stronger. 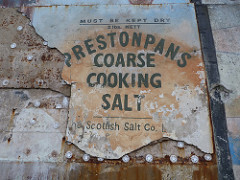 We met in Prestonpans, with thanks to Sandra and the Area Partnership for the venue. That sounded right to us and we could all translate this list it into the things that matter to us, our communities and the people we work with. It fits well with dementia and good dementia care too. We then went on to talking about how we put this into practice. 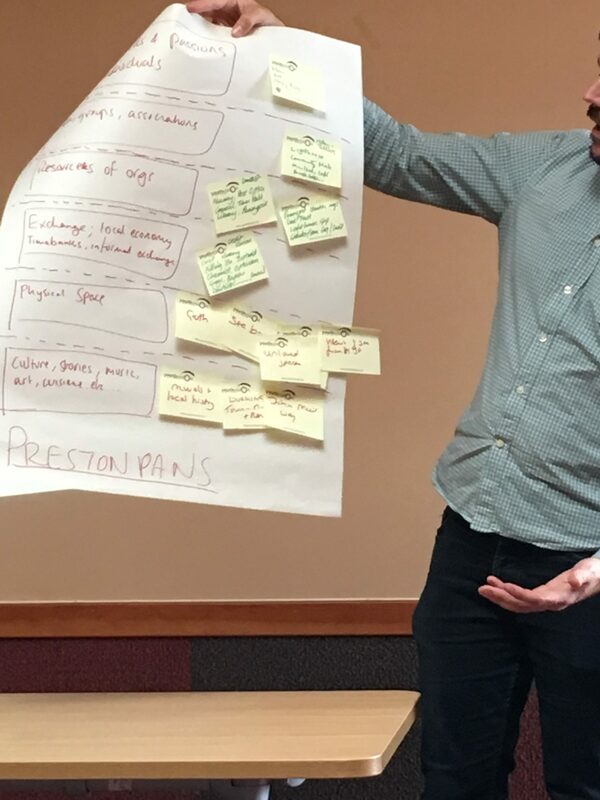 Shaun helped us work through the tools, using his and our stories to illustrate how ABCD works, there was a lot of sharing stories that day. We used the questions to talk about something we were passionate about and what motivated us to take action in our lives. It was a great way to share stories and ideas, and a way to learn about ourselves too. Talking in this way was inspiring and energising, we understood each other better and how we could work together to find common cause – powerful stuff indeed. The final session saw us out on the streets of Prestonpans with an ABCD eye. We talked to local people about what was good about the area, we looked for hidden gems and found closes with views over the Forth as well as the Murals, the Gothenburg and the John Muir Way. We saw history all round us, and the pride in the towns culture. We heard that children had to walk quite a way to the park and found a great sandwich shop. We wondered about the mix of shops on the High Street and what the Town Hall was like on the inside. Where do people gather to chat? Where is the heart of the town? 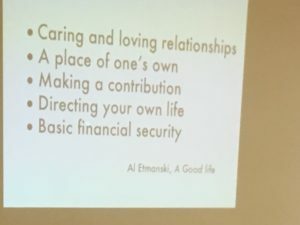 The session reinforced the importance of working with communities to support them to be more Dementia Friendly and the benefits of working with other like minded souls to build community assets. The approach is very similar to dementia best practice which focuses on working with what people can do, on building relationships and capabilities and creating the conditions for people to succeed and participate. A friendly, supportive, kind person who focusses on the person in front of them not the dementia can make a huge difference. Communities work when we come together, chatting in the street, sitting round tables at meetings, helping neighbours or taking community action. 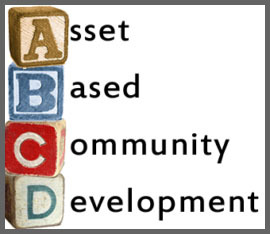 Assets Based Community Development provides an excellent way of working together to make things happen. Communities are about places but also people with something in common. We’re developing local Friendship Groups for people affected by dementia, friends and families, to come together for friendship, support and action. People tell us that getting together with people ‘in the same boat’ is a great help and support and we’re happy top help. The groups run in Musselburgh, Haddington and Dunbar. See the What’s On Page for information. The next DFEL trip to Prestonpans will be on 30th August to talk about setting up a Friendship Group for people affected by dementia in Prestonpans. If you have dementia or care for or support someone who does, you’re very welcome to come along. 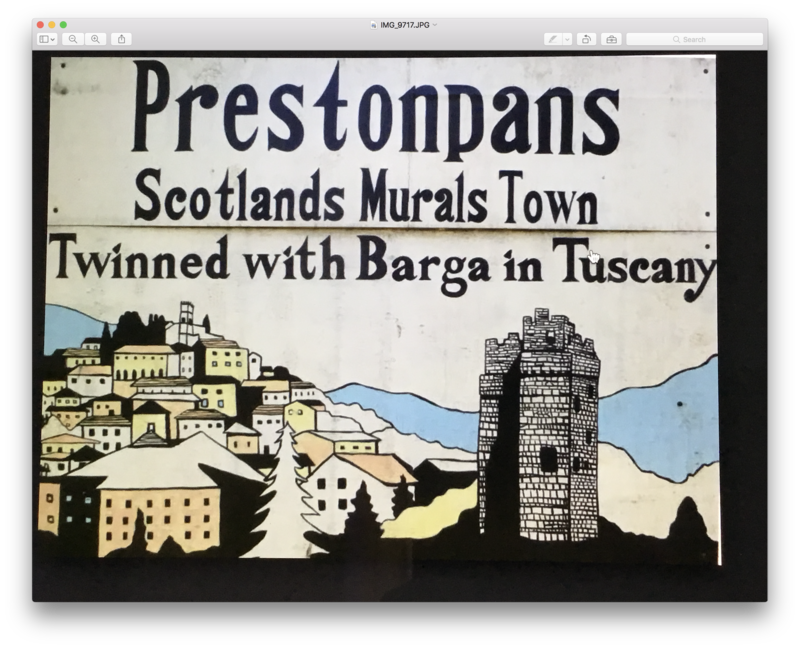 30th August, 10.30 – 12 at the Gothenburg, Prestonpans. See you there! We’re looking forward to taking our ABCD work onto the next level, making communities better for everyone. It’s exciting to see what happens next!